Rumdul is a fruit from South East Asia. However, it is most famous in Cambodia. 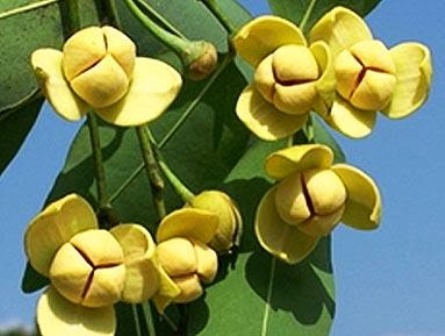 This tre has a very fragrant flower which has now been declared as national flower of Cambodia. An evergreen tree, 10-12 m high, stem diameter 20-30 cm, bark yellow brown. Leaves single, alternate, flat, 2-4 cm wide and 6-10 cm long. Flowers whiteish yellow, highly scented, fragrance in the afternoons and evenings can be felt upto quite long distances. 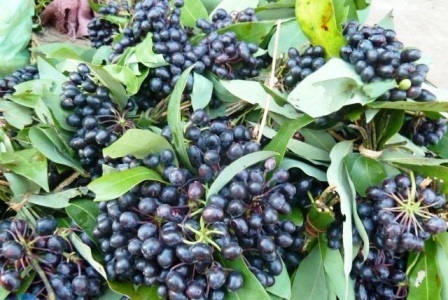 Fruits round, 10-12 mm wide, borne in bunches, nearly black at maturity. Rumdul fruits are edible and harvested during the seasonand and also offered for sale, especially at the tourist centres. Flowers of rumdul are very sweetly scented. Therefore local people like to have a rumdul tree near their house for flowers. 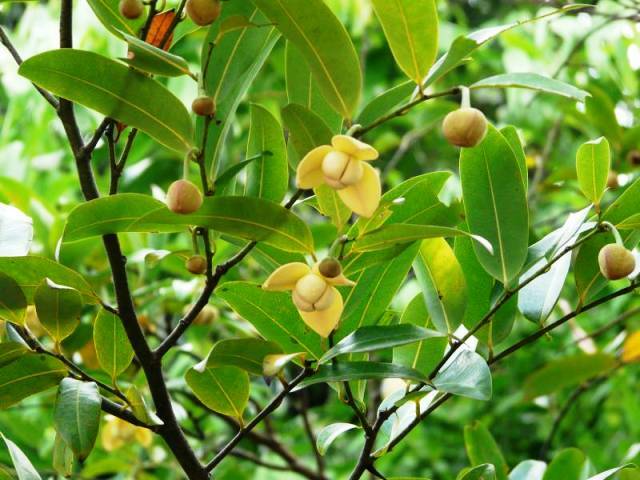 During olden days Cambodian people used rumdul flowers for making a fragrant lip wax for women. Some Khmer poets even compared khmer women to the Rumdul flower, and also some Khmer’s author has written some song such as Rumdul Kraties and Rumdul Pursat, etc. Rumdul is a very common plant in Cambodia. Irt can be seen nearly every where. 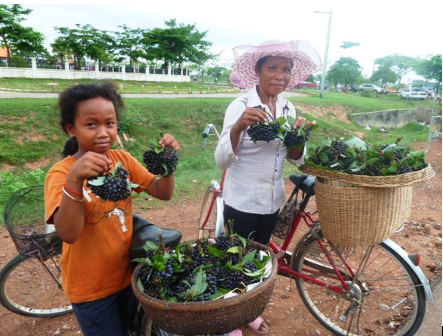 Cambodian people also like to have trees of rumdul in parks and other public places.